Fourth generation model reaches India 14 months after international launch. Toyota Kirloskar Motor has launched the fourth generation Toyota Prius in India at a price of INR 38,96,040 (ex-showroom New Delhi). 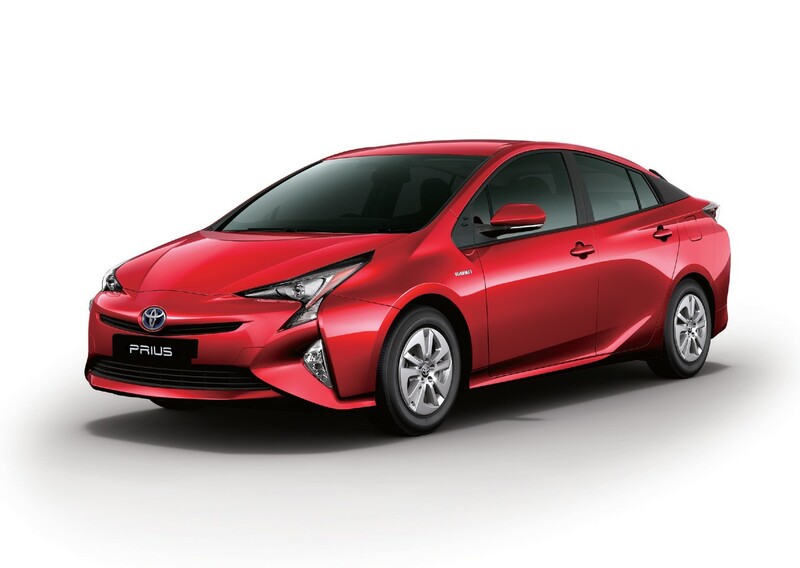 Bookings for the 2017 Toyota Prius are now open. The 2017 Toyota Prius is powered by a 90 kW (122 PS) 1.8-litre petrol-electric hybrid powertrain and has a fuel economy rating of 26.27 km/l. The 2017 Toyota Prius measures 4,540 mm in length, 1,760 mm in width and 1,490 mm in height, and has a wheelbase of 2,700 mm. The all-new Prius is the company's first car to be underpinned by the TNGA (Toyota New Global Architecture) modular platform. Its hybrid powertrain consists of the BS IV-compliant 2ZR-FXE 1.8-litre four-cylinder petrol engine that produces 72 kW (97.89 PS) at 5,200 rpm and 142 Nm of torque at 3,600 rpm and an electric motor which generates 52 kW (72 PS) And 163 Nm of torque. The electric motor gets its power from a 6.5 Ah nickel-metal hydride battery. The petrol engine and electric motor together develop a system output of 90 kW (122 PS). Power is sent to the front wheels via a continuously variable transmission. The driver can choose from two drive modes: Drive (Normal, Eco and Power) and EV. The full-hybrid compact sedan has a fuel economy rating of 26.27 km/l. The 2017 Toyota Prius is available in just one grade: Z8. LED headlamps, LED fog lamps with daytime running light and 15-inch alloy wheels are the car's exterior highlights. Seven colour choices are available: Emotional Red, Super White II, White Pearl Crystal Shine, Silver Metallic, Grey Metallic, Attitude Black Mica and Dark Blue Mica Metallic. Leather seats, chrome door handles, colour head-up display, dual-zone automatic climate control driver and passenger seat heater, 10-speaker JBL sound system, 7-inch DLX touchscreen multimedia system with DVD, USB, Aux-in and Bluetooth and wireless charger are the key interior features of the car. The lack of a satellite navigation system, as well as Apple CarPlay and Android Auto for smartphone integration, may be a let-down for many. The 2017 Toyota Prius is available in just one grade: Z8. On the safety front, the 2017 Toyota Prius is equipped with seven airbags, Anti-lock Braking System (ABS), Electronic Brakeforce Distribution (EBD), Vehicle Stability Control (VSC), Traction Control and rear-seat child restraint system with ISOFIX.